We Can Easily Create A Static Website On HP Cloud CDN, Which is OpenStack Swift and Connected With Akamai. Hardly $2/month Will Be Spending. Practically, all the guides which we wrote with Rackspace Cloud Files will work with HP Cloud CDN, differences are – HP Cloud will need a bit working knowledge of OpenStack Swift. It is Very Easy Thing. It is quite obvious that you’ll use a custom domain name like jima.in. We essentially discussed the problem of Naked Domain. Morons added www subdomain prefix. It is honestly better to have an IP address to get the domain name resolved against the Domain Name and host the www website on HP Cloud CDN. You can use Hostgator like Shared Hosting’s basic plan to get the IP address. $5 / month is Hostgator Shared Hosting’s basic plan’s charge, with $10/month, you’ll get Free SSL certificate too. Zoho still gives Free Domain Named Email Hosting. ANAME is not a Standard. CloudFlare Free Account is great for these works. Obviously, you’ll not host a very important website in this way. Without Server, control is lesser. Akamai will use Edge Computing for your Static Page distribution. If you hosted with 512 MB Server on DigitalOcean, your minimum cost would be $60 per year. Add the cost of SSL Certificate. A good SSL Certificate will cost $80, $140 becoming the yearly cost. Plus, you will always need a CDN. Minimum $160 becoming the annual cost. Only Red Hat OpenShift, Heroku can compete with HP Cloud CDN hosting. Pure Hostgator Shared Hosting’s basic plan has problem of Speed, honestly; it is not possible to compare a Shared Hosting with a geographically distributed hosting. Most of us have a Hostgator Shared Hosting Plan for multiple Domains which are not eligible for HP Cloud Server. Page Speed will higher than Red Hat OpenShift and Heroku for practical reason – it is CDN. HP Cloud CDN and Akamai combination, automatically understand that it is HTML file. So, only create a container and publish as CDN. Then read our guide on how to upload files to HP Cloud CDN. 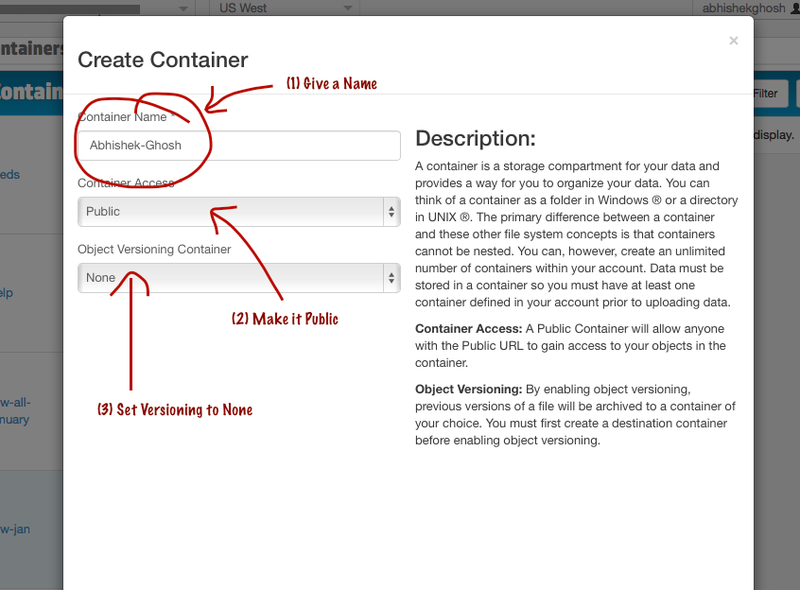 In the next step, click the arrow button beside container name and enable CDN. This the thing which connects OpenStack Swift with Akamai. This is HP Cloud Specific. You can set the TTL to very high like 1577836800. That is 50 years. 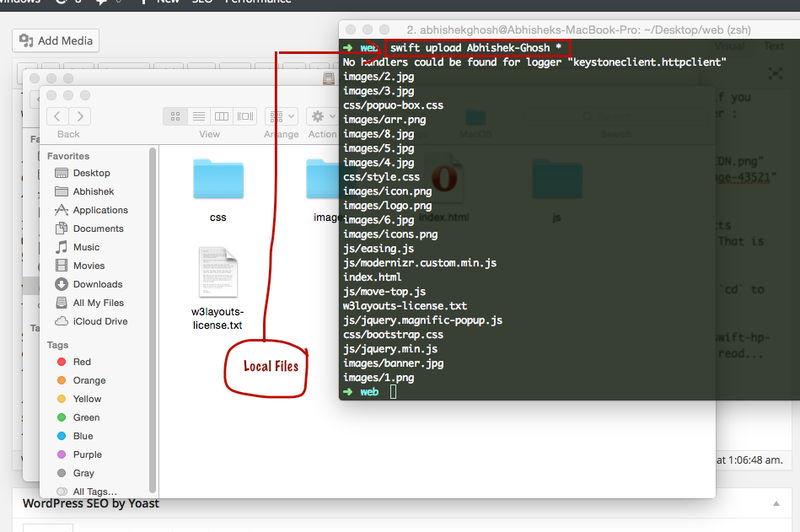 You can create from command line too, but this is easy to see the things. You should have some HTML page. cd to that directory in Terminal or iTerm2. Obviously, you’ll love to have clean URLs or redirect the URLs. The non-SSL is the right path. SSL is too complicated. CDNs are basically intended to deliver static contents by serving the static resource from the closest geographical point possible to the client. CDN technology is not intended to do a redirect or server side processing of the request. Hence, it depends on the way we Authenticate and Push the content via HP. Basically, that is why the word “Intelligent” is said by Akamai. It understands what we are doing. API is used for sending the valid request towards load balancer/firewall request re-writing – it avoids having a server side technology. Average Rackspace Engineer will not know it, thats why Racspace has some specialists. HP Cloud is far far advanced than Rackspace, Intel and HP has direct work with Akamai. Normal! Akamai will use HP’s hardware! These are called website endpoints. They are optimized for access from a web browser. There are key differences between the REST API endpoint and the website endpoint. That is HP wrote requests with cURL. When you are sending a request in that way, you are becoming HP to Akamai. This Article Has Been Shared 2984 Times! Cite this article as: Abhishek Ghosh, "Create A Static Website On HP Cloud CDN (OpenStack Swift)," in The Customize Windows, February 18, 2015, April 21, 2019, https://thecustomizewindows.com/2015/02/create-static-website-hp-cloud-cdn-openstack-swift/.